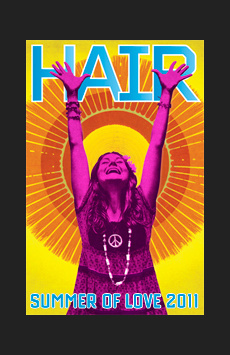 A Sneak Peek as Hair’s New Cast Goes from Rehearsal Room to Theater! Who's Joining Gavin Creel at a Cabaret for Equality? Cyndi Lauper & More! Oh Say, Can You See Hair Star Will Swenson Sing the National Anthem? From an Equality Rally to Conan, Hair Does the City of Angels!